No, that’s not weed you’re looking at. 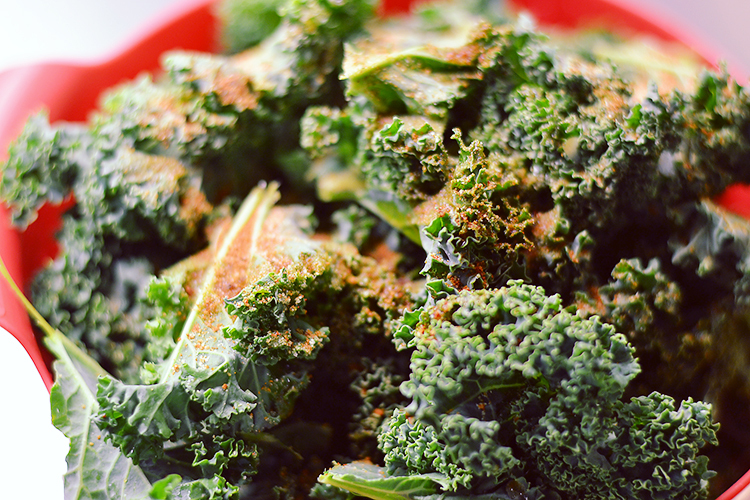 It’s kale. That green stuff you’ve probably passed a couple of times in the grocery store in lack of knowing what to do with it. 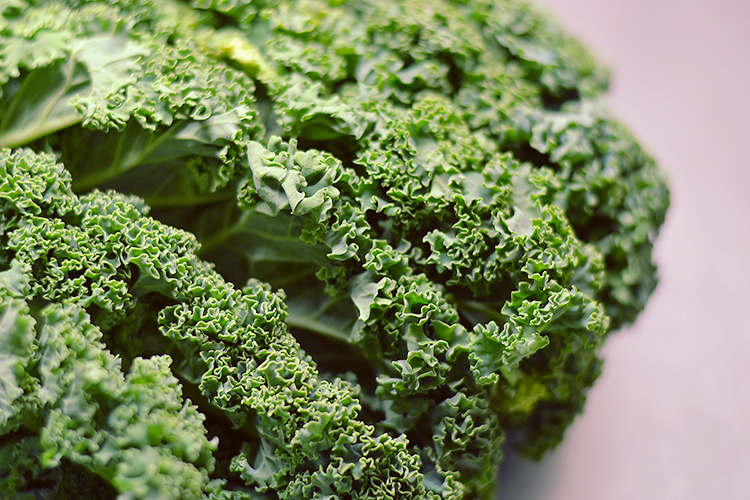 Fact is, kale packs a real health punch. It’s got 45 different flavonoids (anti-inflammatory and antioxidants), Vitamin K, Vitamin A, Vitamin C, lots of fiber, and carotenoids (helps enhance your immune system). It should come as no surprise then that studies have shown that kale helps protect against several types of cancer (among others colon and breast cancer), as well as heart disease. Enough reasons for you to want to dig in? Then here’s an excellent way to eat it. These crispy little nibbles require minimal time and effort and can be varied with whatever spices you prefer. 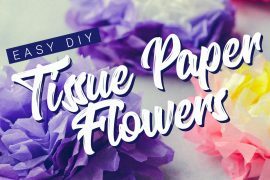 Start out by tearing the leaves off the stems in odd sized chunks. 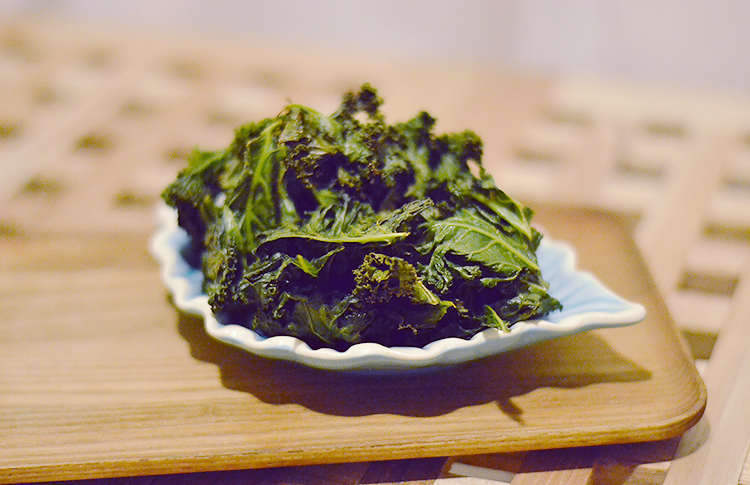 Place all your leaves in a bowl, drizzle with some olive oil and add whatever spices you prefer. Spread on a baking tray lined with parchment paper and pop it in the oven. Out of the oven comes healthy and fantastically crispy little immune-boosting-cancer-fighting chips. 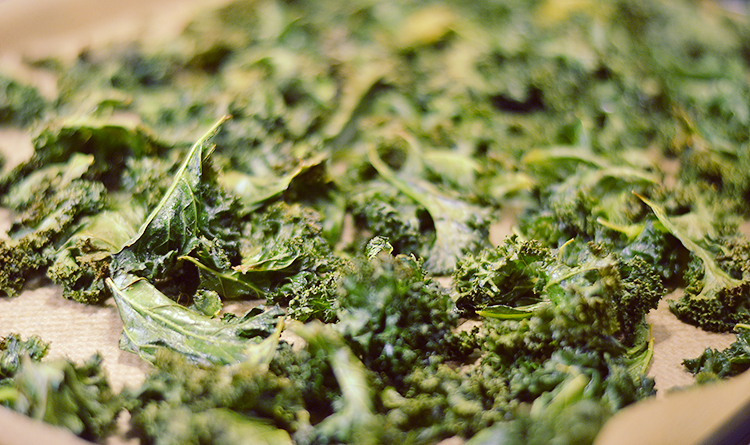 Tear the leaves off the stems of the kale, breaking the leaves up into chunks. 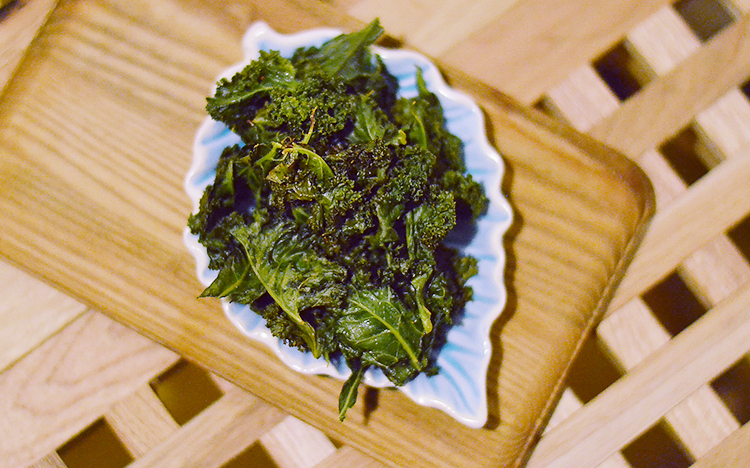 Place the leaves in a bowl and drizzle with olive oil and add the spices. Use your hands to mix and coat all the leaves, scrunching to really work the olive oil and spices into the leaves. Line a baking tray with parchment paper and spread the leaves on it. Bake in the oven for 10 minutes, remove and flip the chips. Bake for another 5-10 minutes until browned around the edges. 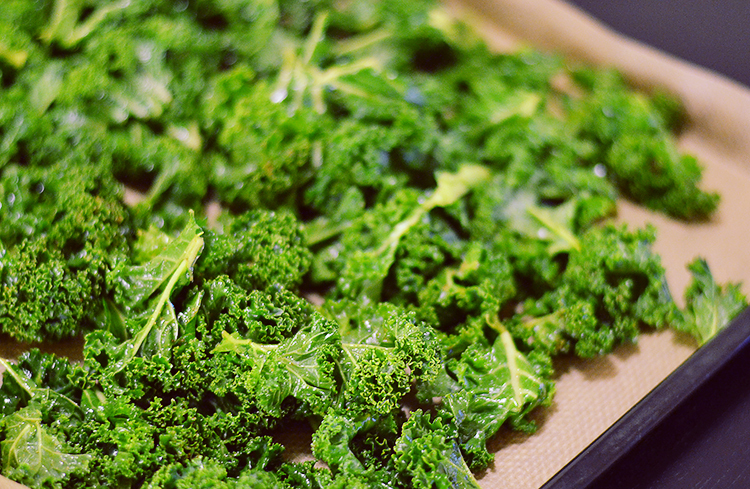 Notes: Variations on these kale chips are of course possible by adding different spice mixes. Or make them sweet with sugar and cinnamon, or grate some parmesan cheese over them. The possibilities are limited only by your imagination and taste buds. Have fun!